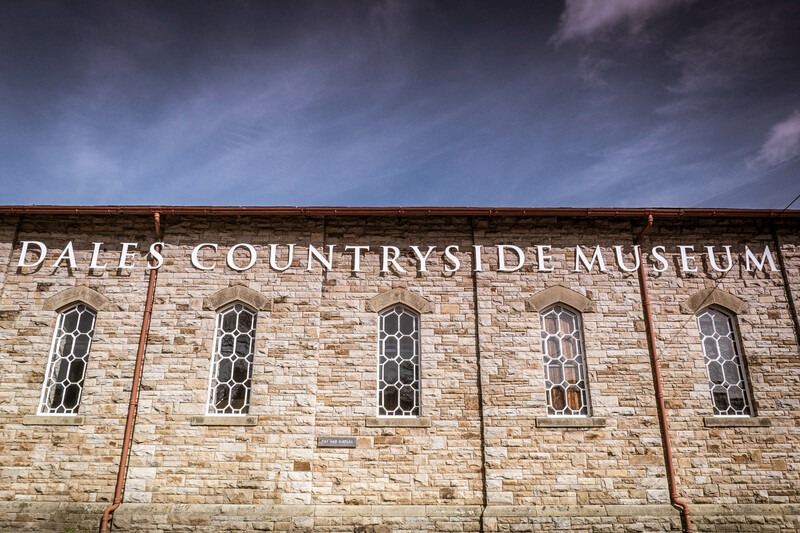 David Murphy’s installation spear was commissioned by the Dales Countryside Museum as part of a wider project initiated by arts & heritage entitled ‘meeting point’, supporting contemporary art installations in non-traditional art spaces. Murphy’s project, which highlights the connections between the museum’s collection and the magical landscape from where many of the objects came, was selected in October 2015 and was realised in October 2016, the artist and museum worked closely together for the duration of the project. At the heart of both the commission and the museum’s collection, is a beautifully preserved Bronze Age spearhead discovered at Semerwater in 1937, which together with the rich mythology describing ‘the sunken city of Semer’, went on to inform murphy’s installation. Spear saw an architectural-scale spearhead installed on the lake’s waters between Friday 28 and Sunday 30 October 2016, its distinctive outline described by more than 7000 hand-riveted glistening copper rings. The installation physically acknowledged the treasures the lake has bestowed on the area, ‘returning’ the famous spearhead to the site on which it was found. Taking place during the UK’s Museums at Night Festival 2016, a series of events helped bring the installation to life. Music, readings, demonstrations and special performances told the many stories of Semerwater, positioning it as a site of mystery and ambiguity.